A 2005 Chevrolet Trailblazer, occupied by an initially unidentified driver and passenger, was westbound on Gravely Road when for unknown reasons it crossed the center line into oncoming traffic. While on the wrong side of the road, the Chevrolet struck an eastbound 2007 Yamaha Motorcycle, operated by Matthew W. Branscome with passenger, Amy. R Scott. The impact redirected the motorcycle off the right side of the roadway where it then crashed into a parked and unoccupied 2011 Toyota Camry. Mr. Branscome and Ms. Scott both sustained serious injuries and were transported to Holston Valley Medical Center by Sullivan County E.M.S. for extensive emergency medical treatment. They have since been released. The Chevrolet fled the scene. This has remained an open and active investigation since the date of the crash with Investigators from the K.P.D. Traffic Unit attempting to both identify and locate the driver of the Chevrolet. The Chevrolet was located the next day at the residence of the registered owner of the vehicle, Gregrey A. Justice, on Lake Street. Damage was observed on the vehicle that coincided with the events of the crash. Further investigation revealed that Mr. Justice was a passenger in the vehicle at the time of the crash, while his friend, Toby Lee Collins, was the driver. A check of Mr. Collins’ driver license status revealed that it was currently revoked as the result of a prior D.U.I. conviction. Despite numerous attempts to locate him, and numerous messages left for him, Mr. Collins has been avoiding contact with investigators for over a month. On July, 18, 2016 a warrant was obtained charging him with Driving on a Revoked License (2nd Offense), Leaving the Scene of a Motor Vehicle Collision with Injuries, Failure to Report a Motor Vehicle Collision, and Driving Left of Center. On July 21, 2016 at approximately 2:00 PM, Mr. Collins was arrested on the outstanding warrant at the Kingsport Justice Center. 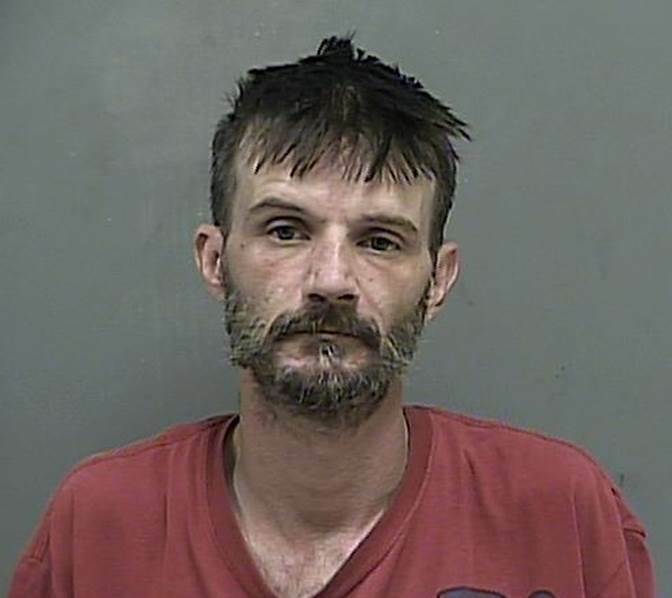 He currently remains incarcerated in the Kingsport City Jail in lieu of a $2,500 bond as set by the presiding magistrate.